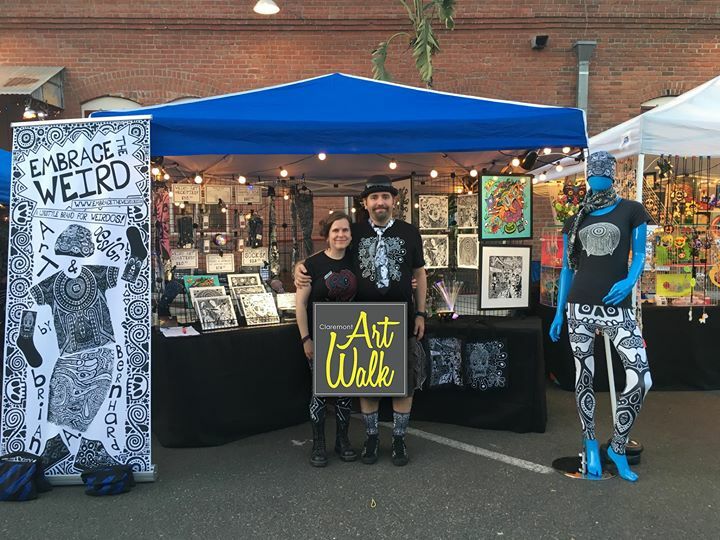 The Claremont Art Walk Embraces the Weird! We will be setting up the Embrace the Weird pop up shop in the cute artsy village of Clairmont. Its a wonderful night, come join us and get some weird in your life! Claremont Packing House Comic Book & Collectible ShowWelcome to the weird world of Brian A. Bernhard, eccentric artist, designer & founder of "Embrace the Weird" a lifestyle brand for weirdos!